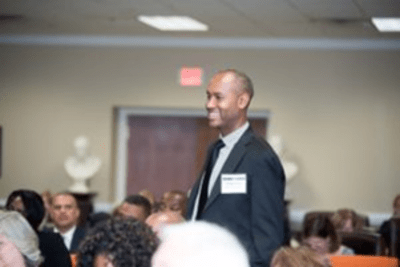 Our education initiative centers around two key goals: to promote the positive accomplishments of education in High Point and to advance the connection between business and education. 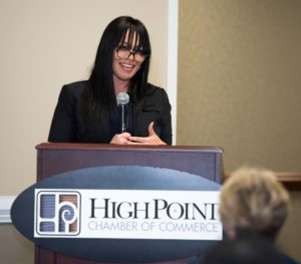 In 2016, Business High Point - Chamber of Commerce held a Principal's Reception, the first of its kind, connecting business leaders with the city's principals. At the reception, each business represented had the opportunity to adopt a school, providing volunteer efforts and financial resources. Guilford County Schools Superintendent, Dr. Sharon Contreras, attended and spoke on the importance of making and keeping our schools competitive to help ensure a successful future for students. High Point schools represent a diverse and successful collection of education that provides students with opportunities to succeed. Our community is fortunate to be home to schools that are elite in a variety of niches including academics, athletics, career and technical education, International Baccalaureate (IB Program), fine arts and more. Through a soon to be launched website, www.schoolsinhighpoint.org the remarkable accomplishments of our schools will be in one, easy-to-find place for students, parents, teachers, and potential residents. 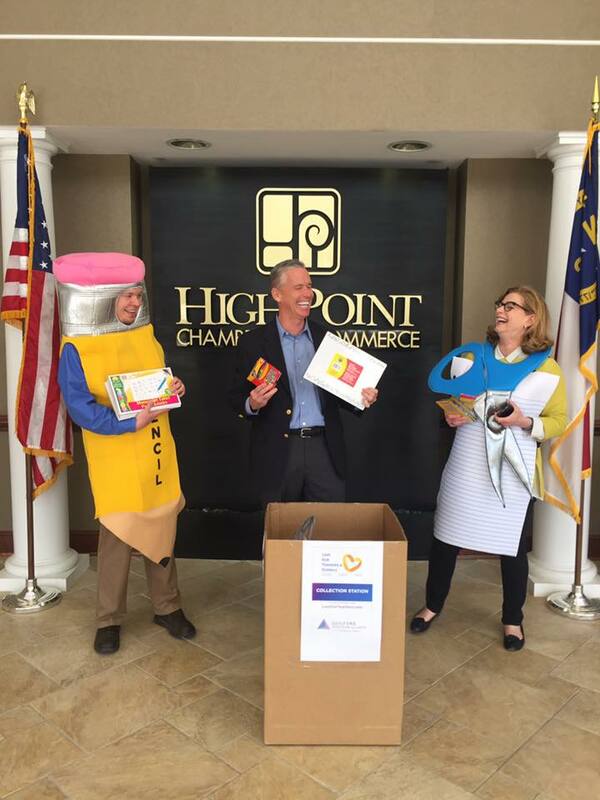 In Spring 2017, Business High Point - Chamber of Commerce hosted a school supply drive, engaging members to better the local education experience, for the Teachers Supply Warehouse, which offers supplies to teachers at deeply discounted rates.